Arcadia Publishing (SC), 9780738520537, 128pp. 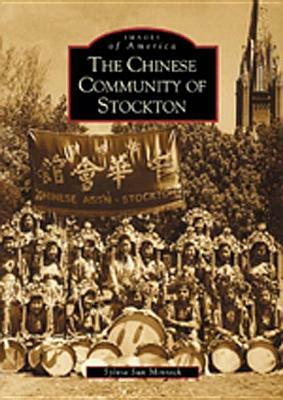 Stockton, referred to as Sam Fow by its Chinese community, was the third largest metropolitan area leading to the goldfields of California at the turn of the 20th century. The Chinese immigrants came from Kwangtung, China, to find their fortune, and instead found a series of restrictive laws aimed at keeping them from participating in the development of the burgeoning frontier town. Their story is here, in over 200 vintage images of community life and resilience. Despite legislation such as the Foreign Miners' taxes and the California Alien Land Act, and most recently the construction of the Crosstown Freeway combined with the redevelopment project that disseminated the heart of Chinatown, the Chinese of this area were major contributors to California and Stockton's economy. They have maintained a balance between their heritage of familial and religious obligations and western education and activities. Included are photographs dating from the late 1920s of traditional Chinese associations and more recent community activities. These images showcase once thriving businesses, educational and religious efforts, and familial milestones.